So cliché. I saw that "twist" coming from a mile away. 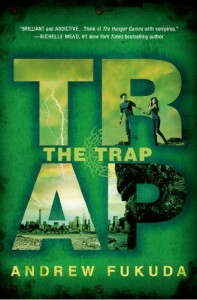 Also, using "The Trap" as the title kind of makes it super obvious that everything is a trap: going to the CC, then the Domain Building, etc. After killing everyone off, do we just forget all about Ben and Claire? I'm sure the Scientist is still out there somewhere. That was not an okay ending.